Nottingham Trent University’s Research Office provides specialist support for research and innovation across the University. 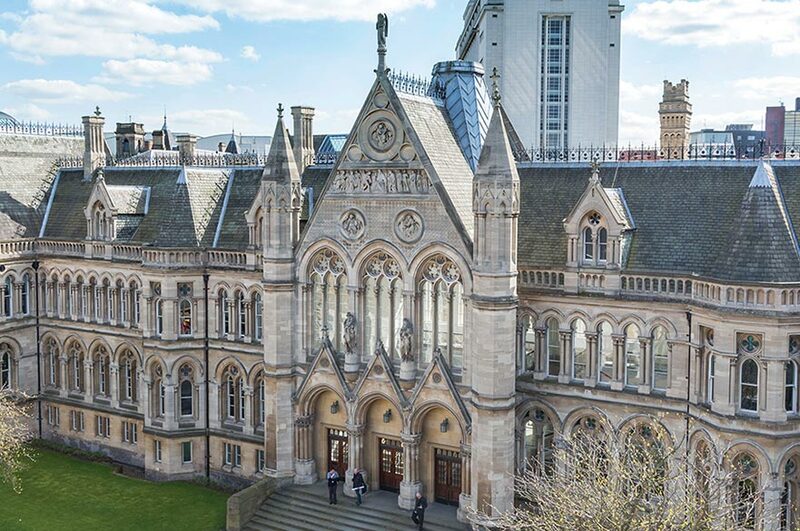 We contribute to NTU research policy and strategy development, offer guidance and support for research grant applications and contracts, coordinate the University’s preparations for REF, and work closely with NTU’s Partnerships, Local Engagement and Commercial Services (PLECS) team. NTU research addresses major regional, national, and international challenges, and the University’s strategy is to increase the quality and volume of this research. The Research Office plays a key role in delivering on this strategy. We help to cultivate collaborative opportunities with external partners, ensuring the intellectual, social, and commercial impact of NTU research. We coordinate training events to support the development of NTU researchers. We work closely with researchers on the preparation of funding applications and oversee all matters regarding submission of proposals. The University Research Committee, chaired by the Deputy Vice-Chancellor - Research and Innovation, and reporting to the Academic Board, is responsible for the development and monitoring of research governance policy and procedures. Any enquiries relating to research integrity, including those of a confidential nature, at Nottingham Trent University should be addressed to Anton Muszanskyj (Research Governance & REF Manager). Our Code of Practice for Research is relevant to all individuals involved in research either at, or in the name of, the University, irrespective of the discipline / field of research. This document provides the principles of practice and conduct by which the University expects research to be carried out either at, or in the name of, the University. Our Research Ethics Policy establishes and promotes our expectations for good ethical practice in the conduct of academic research. It provides an over-arching framework of ethical principles and a clear understanding of the internal structures the University has in place to review its practices and activities in relation to research ethics. The policy applies to all those conducting research within, or on behalf of, the University. All individuals involved in research, either at, or in the name of, the University, are expected to be aware of and uphold the standards expected of them in the conduct of their research. Allegations of unacceptable behaviour in the conduct of research by staff or students will be managed in a consistent, transparent and equitable manner within the framework of our policies and procedures. For staff undertaking research at, or in the name of, the University any allegations of research misconduct are dealt with through the University’s Disciplinary Policy and Procedure. For research students undertaking research at, or in the name of, the University allegations of research misconduct are dealt with through the University's Procedure for Investigating Alleged Research Misconduct. For taught students at the University, allegations relating to research misconduct are dealt with through the University's Academic Standards and Quality Handbook (Section 17C: Academic Irregularities). A range of training opportunities relating to all aspects of research integrity is available to staff and students who are conducting research at, or in the name of, the University. More information is available on our Support for researchers webpage. Training for research students is conducted via the NTU Doctoral School.